A recent survey found that remodeling firms expect labor shortages to worsen this year, while worker and materials costs will increase. More than nine in 10 remodeling businesses report a shortage of carpenters. About 70 percent of home-improvement companies will pass increased labor and materials costs on to customers. 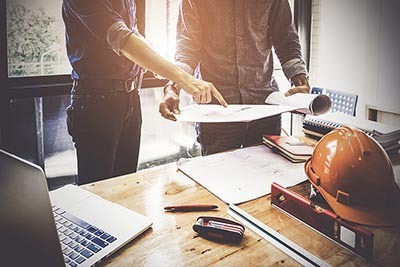 While most American homeowners and prospective buyers probably do not ponder the construction sector on a regular basis, current trends in that industry could affect their wallets in the coming months. Houzz’s new State of the Industry 2018 report, which coincides with National Home Improvement Month, found that respondents from all seven construction and remodeling subsectors it tracks expect the availability of skilled workers to tighten this year. General contractors, designers, and builders are projected to be the most in-demand types of workers, with about half of those polled expecting the labor market to get tighter. All seven subsectors also project that labor costs will increase, again led by general contractors (56 percent) and designers and builders (57 percent). About half of architects and specialty renovators and landscapers think that the aforementioned lack of skilled workers will cause job costs to rise in 2018. That trend again persists when it comes to the cost of remodeling and building materials, which are expected to increase across the board. The number of remodeling professionals who believe that materials costs will be higher this year than last ranges from 60 percent of general contractors to 47 percent of landscaping firms. Houzz’s survey dovetails with research published earlier this week by the National Association of Home Builders, in which more than 90 percent of home renovators reported a shortage of carpenters, with about half calling the situation serious. Other types of remodeling professionals that are in the highest demand include framers, bricklayers, drywall installers, and concrete workers. About three-quarters of remodeling businesses told NAHB that a lack of skilled workers is leading them to pay higher wages. The impact on homeowners is nearly the same, with 71 percent of firms reporting that they pass their increased costs along to clients. Bay Area homeowners who are considering a home-improvement project should check out Remodeling’s 2018 Cost Versus Value report, which estimates average costs for 21 popular jobs in 149 U.S. metropolitan areas, including San Francisco, San Jose, and Santa Rosa. The report also offers information on home-renovation returns, which are particularly sunny in Silicon Valley, with 18 of the 21 tracked jobs expected to turn a profit this year.